By Firefox, February 17 in The Workshop! I admit the 31J is a good looking jet but I'm not a fan of forward swept wing. Since NY messed up with my 31A, I decided to take thing into my hand. Convert the 31J wings to 31A wings. 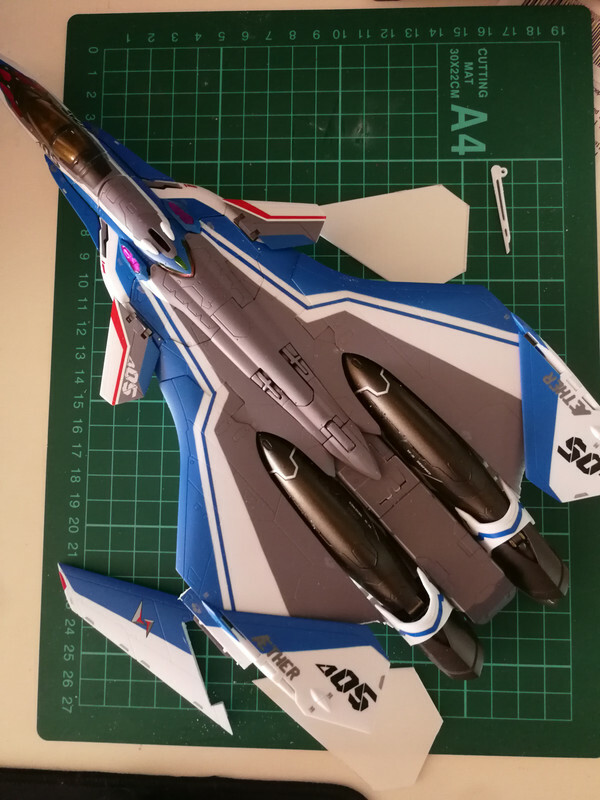 Arming with the info from one of the member here, and the downloaded topview of DX VF-31A, I start my potential costly customisation. I'm not sure if I would go as far as re-doing the head into 31A or not for now. May be I will or may be I just do a totally what if model. 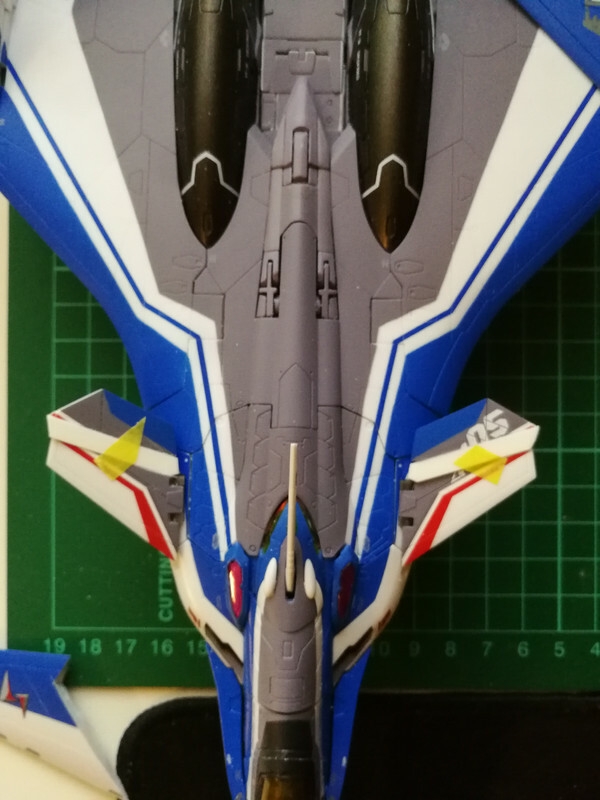 The top view of the 31A wing with some of the measurement supplemented by a member here and the angle acquired from the Hasegawa 1/72 VF-31A. 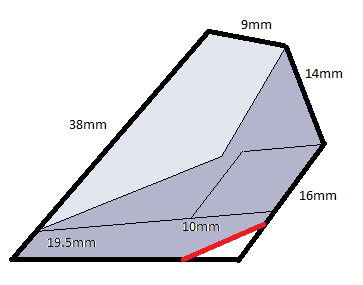 You probably can't just blow up the Hasegawa 1/72 to 1/60 as some of the measurement aren't correct but some are the angles are correct though. 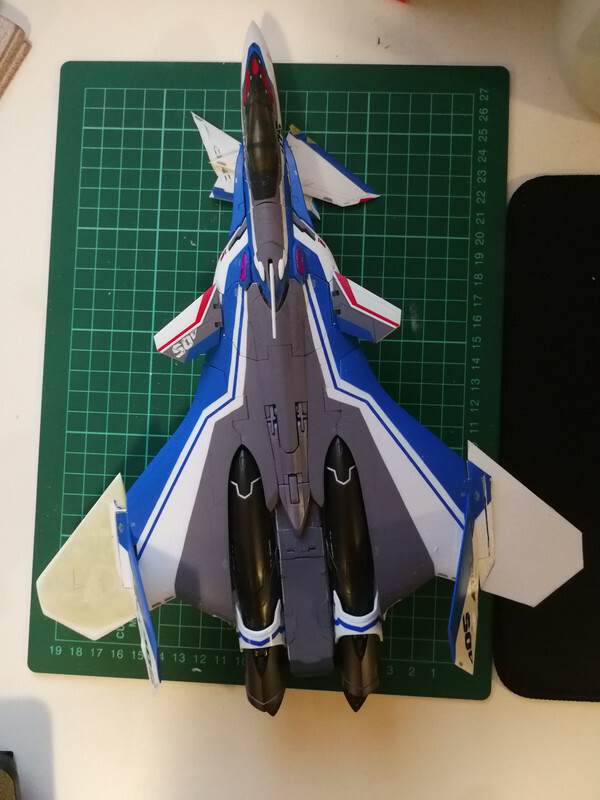 First using the Tamiya plastic sheet and cut off the 31A wing to the exact size. Then cut the 31J wing off. And the way I cut it, was a mistake. First blunder. Milliput is one of the best shaping putty here. It is strong and bond well with any plastic, it is also heavy, thus gives the weight feel. If you could afford the costlier finer Milliput, the better. I'm using the normal one here. After some sanding, it starts to look good. 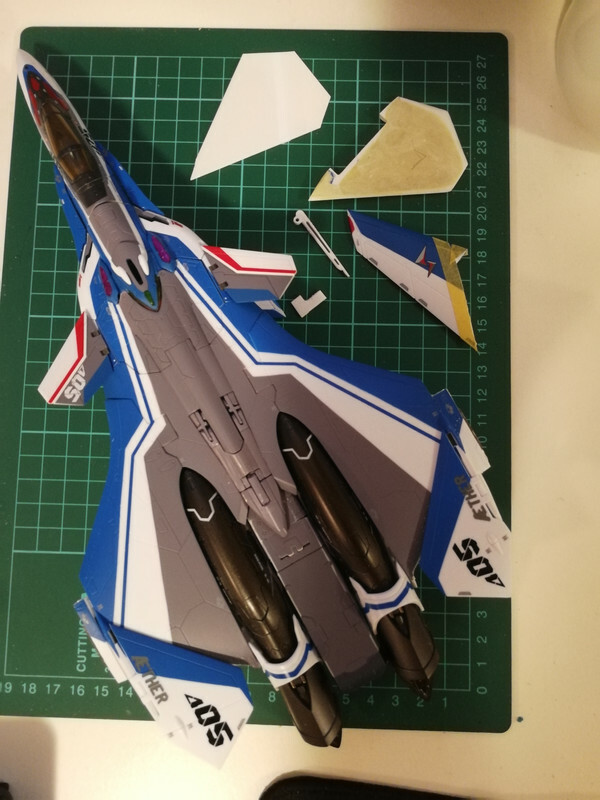 Its intersting to note that what you’re making is actually a VF-31J Kairos.. Since 31A is closely resemble to Rafale, I was thinking of adopting the paint scheme of the Rafale A. But I think re-painting will be challenging if not a nightmare since, again, Bandai glues everything together rather than using screws. 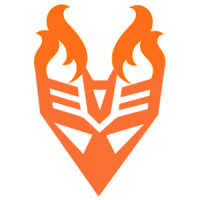 Very cool, I look forward to the finished Valk! oh wow! I want these wing too! Awesome use of those measurements, mate. I had no idea you'd planned this. Let me know if you need any other information, measurements or pictures. Have both the A and J and a few model kits too (Hasegawa A and Bandai J Kai). Thanks @mickyg. You've been great help. Both wings are gone now. Even without wings, it looks good. For those who could afford more than one 31 and game enough, one could try the VF-31Y in the master file below. A quick mock up that really excites me! Finally I sort of having the jet I want without breaking my bank account. Now you just need the alternate weapons pod. Both wings are ready. Now it's time for my first panel lines scribing. Hope I don't stuff it up, Any panel line carving tips are most welcome! 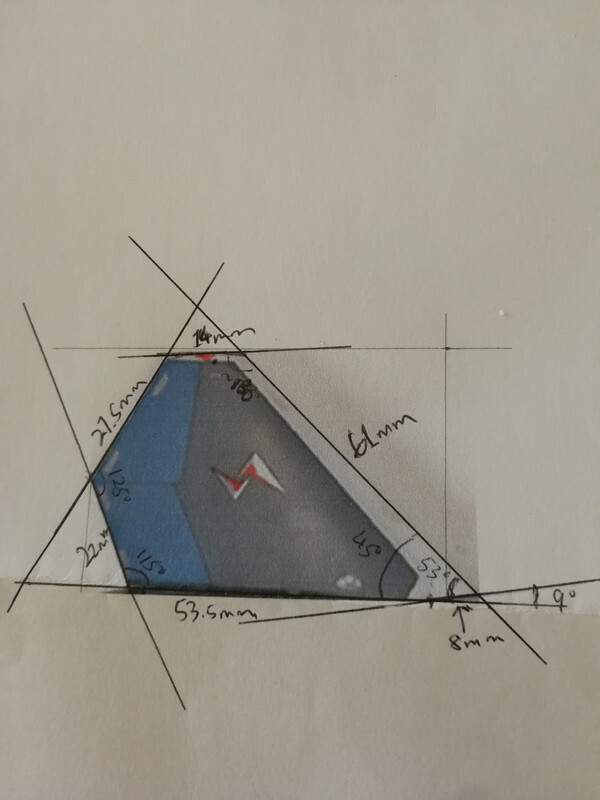 Are you going to increase the Canard surface-area as well? or just live with it? as far as Scribing panel lines goes: label-maker tape [that thick, black plastic strip stuff] is the most useful, and re-positionable, straight-edge you'll find. go light, and make several even passes until you're happy with your result. If you mess up a line do not worry! You can just fill-in the place where you mucked-it with Superglue, let it dry, sand it flat and do it over. do you have a dedicated scribing tool? or are you using the good-old "reverse #11 blade" trick? I'm currently re-scribing a Starfury from Babylon 5... I may have written a cheque that my dilapidated skills can't cash... put it aside and come back to her after I've had more practice lol. Oops! Forgot to mention that she's a sweet conversion! @slide Thanks for the tips. I've got a proper tool. Tried it out. 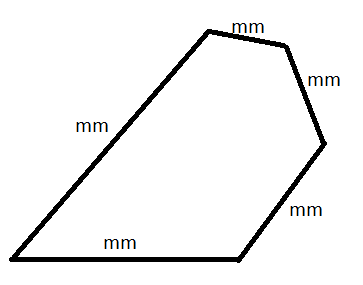 The lines are very fine. May be it's good for model but the DX has a thicker lines. Hard to match those lines. 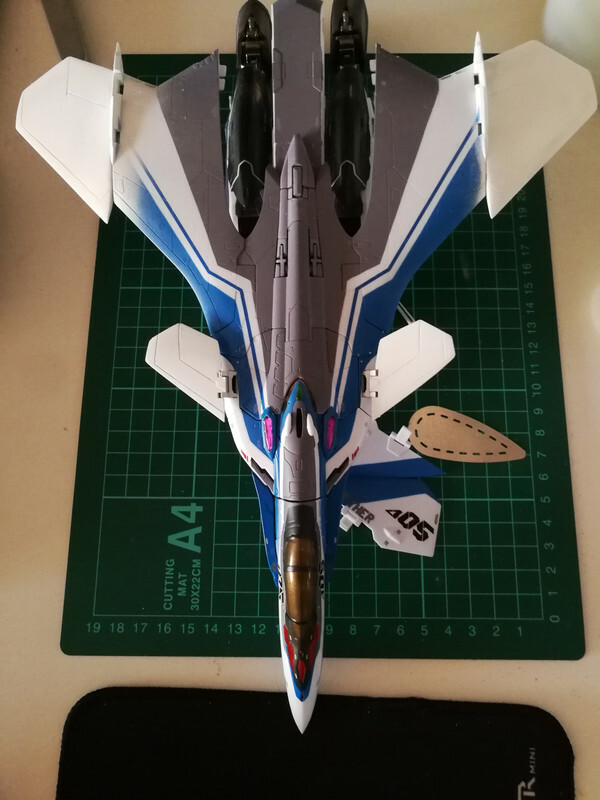 Briefly thought about enlarging the canard, but the DX VF-31A just has the normal one. Still undecided. Most likely will leave them as is as I can see that the plastic is too thin. Starfury, yeah! Hopefully one day I can see the finished product. 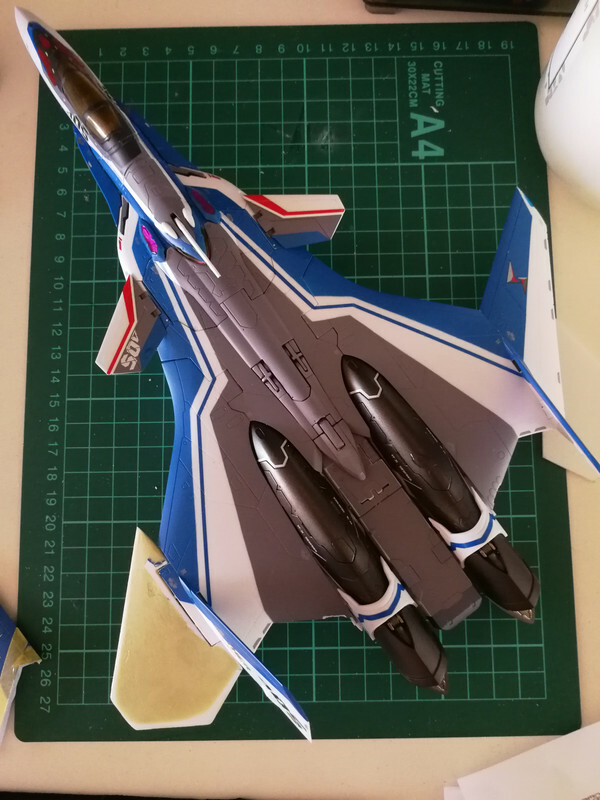 The DX VF-31A does have larger canards, just FYI. 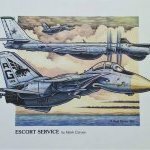 Really great work, I have to say that I am also curious about the engraving techniques. Plus the missiles in legs instead of drones. 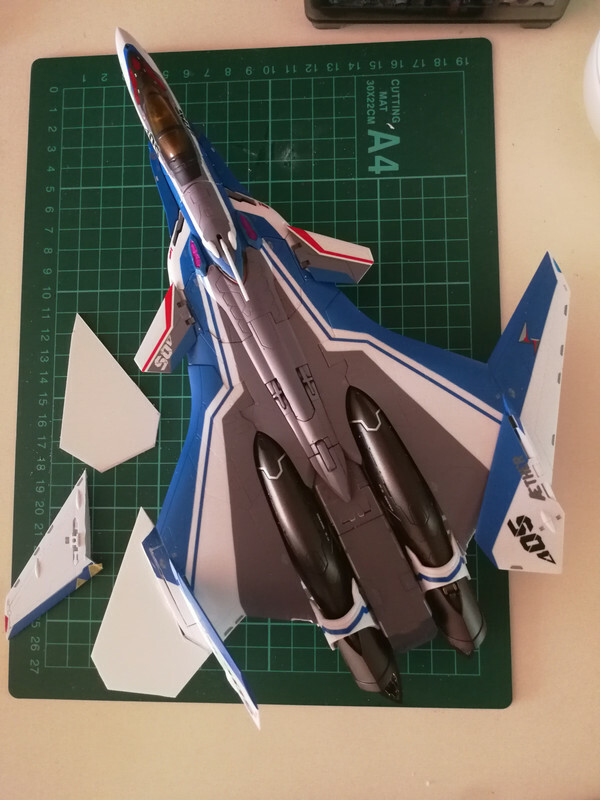 But yours is a custom version anyway just like the guy that put the draken wingtips on the 1/72 kit instead. I think it's also interesting to note that the Siegfrieds are "custom" for this team anyway. 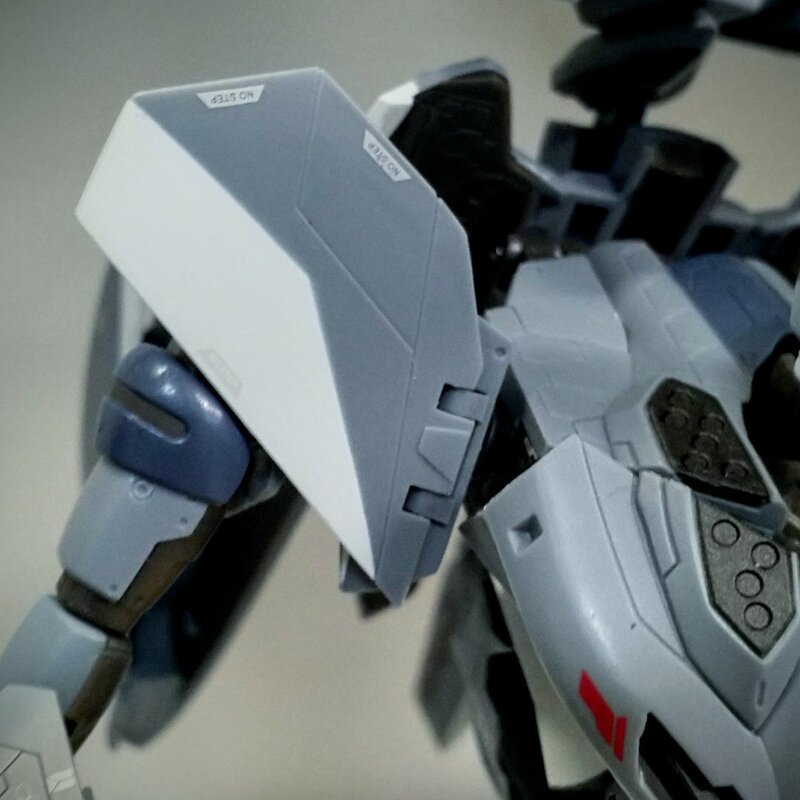 As I understand it, the FSW design was considered non-standard and was developed specifically to ensure higher maneuverability for supporting Walkure. With that in mind, it's entirely logical that a "JA" could be an experimental non-FSW version. 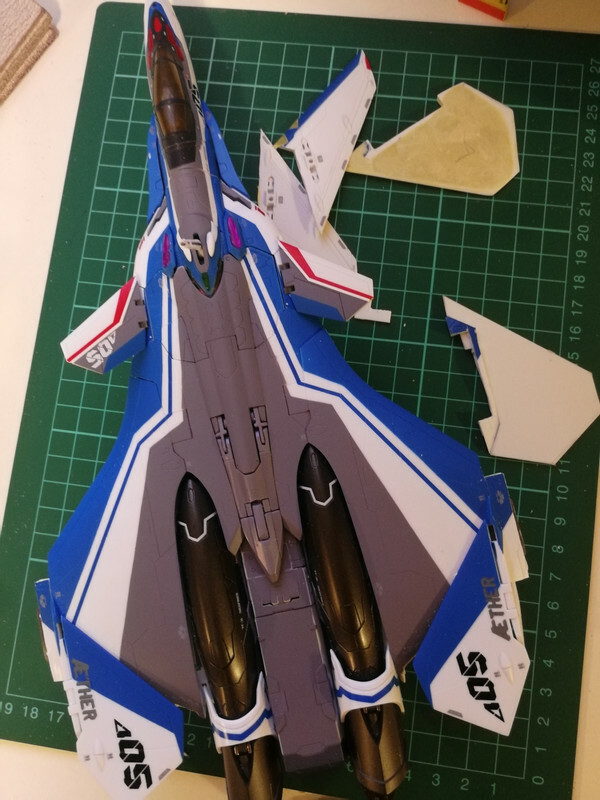 Plus, making the modifications to the fold crystals, canards, leg missile racks and let's not forget the nose sensors, is a pain! Looks great. These seem like a good candidate for shapeways. Was anything damaged swapping the wings? Would you be able to swap them back without too much trouble? I've got three 'Furys in the stash... and one from like, 2005 that needs alot of repair from a move. eventually I'll be posting pics of them, but this one's going back in her box for a bit. The process is destructive and irreversible, thanks to Bandai glueing everything up. 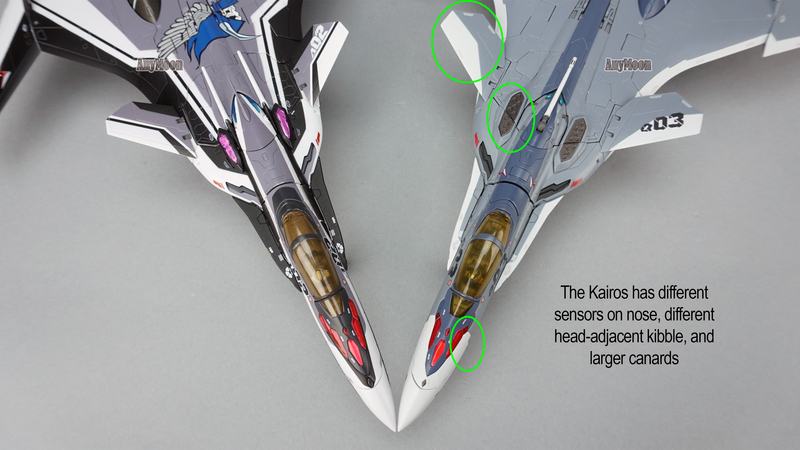 Need to ask a favour for those who has a DX VF-31A, can you get me the measurement of the canard shown below? Thanks! Hope this is helpful. If that's a straight copy of the J shape, then the A is actually differently shaped, in addition to being bigger. I've added the extra line in red to show what I mean. I've also added some panel lines and colours that may (or may not) be useful. No problem. I missed a few details, like the hinge and that little trapezoid shape between the cutouts. So here's an actual picture of the canard that I hope helps. @mickyg thanks! It helps a lot seeing the actual picture. 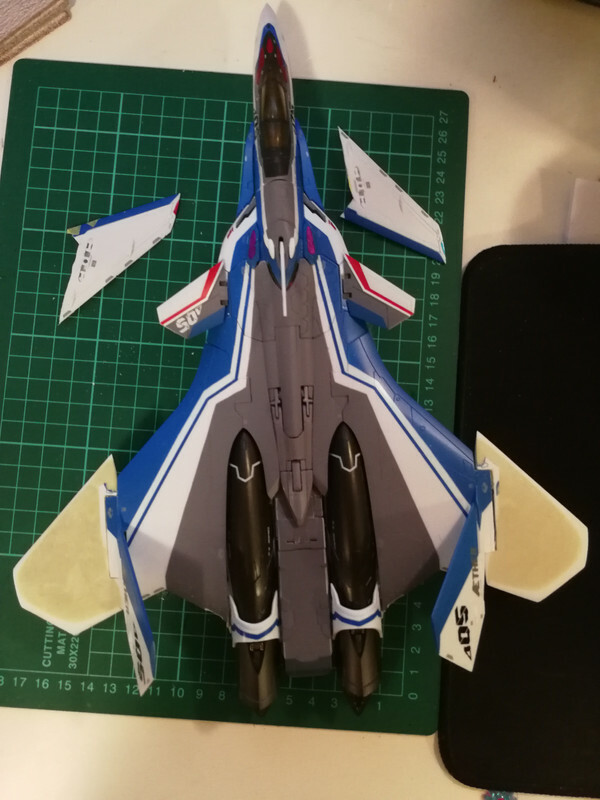 I'll see if I can change it as the canards are really thin and the joints are rather tight. Test fitting of the expanded canards reveal additional filling at the tips required. Looks like the super glue is strong enough for the task but time will tell if it can last. Once the glue settled, it's sanding time again. How’s progress on this project going? Preparing for some eye candy..
Progress is slow. Paint scheme not decided and frankly don't know how to approach it as the whole thing is glued together. Might involve tons of masking tapes. Cool stuff! 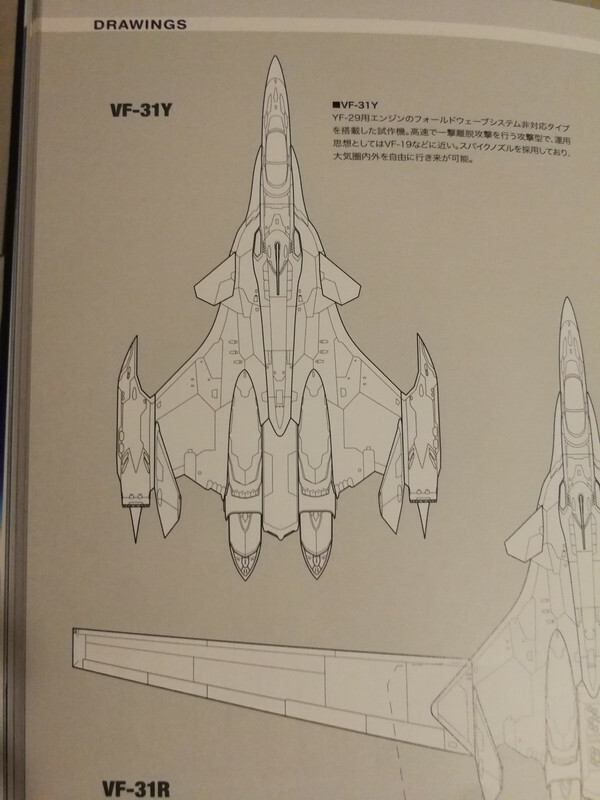 If I had the skills I'd have a Kairos in the CFA-44 Strigon scheme from Ace Combat.